A Florida man was recently put to death by an experimental drug called etomidate, which is an anesthetic that had never been used for a U.S. execution before, according to the New York Daily News. Midazolam, which has been used in the past in the place of etomidate, is no longer allowed to be used in executions. Etomidate was the first of three drugs administered in the execution, and shortly after it was injected, the man’s feet made small jerking motions and his mouth opened before becoming still a few minutes later. In another groundbreaking moment, this was the first execution of a white man for killing a black man in the state of Florida. The inmate denied killing that man, though admitted to one other whom he had killed. 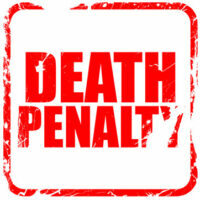 If you have been charged with murder, it may be tried as a capital crime, which can be punished by death. The capital offense occurred during burglary, arson, robbery, sexual battery, kidnapping, aircraft piracy, aggravated child abuse, abuse of an elderly person or disabled adult that resulted in great bodily harm, or while using a destructive device or bomb. The victim was particularly vulnerable because of age, disability, or the defendant was in a position of familial or custodial authority. The defendant is subjected to a restrictive order or foreign protection order and the victim was the person who obtained the order or was a close family member. Certain drug trafficking crimes and sexual battery crimes can also be charged as capital crimes in Florida. However, the death sentence cannot be applied to sexual battery capital offenses, and it would be exceedingly rare for a defendant of a drug offends to be tried with the death penalty. There are many legal defenses to take when confronted with allegations of a capital murder, and an experienced attorney will answer your questions about the next step to take. Contact the West Palm Beach criminal defense attorneys of the Skier Law Firm today to learn how to proceed.